Notes: A Factory Australasia letter describes this release: "This 12" is exclusive to FACTORY AUSTRALASIA. Remixed in Sydney by Robert Racic the track clocks in at 6m 41. A must for the dance floor. Australian only release." 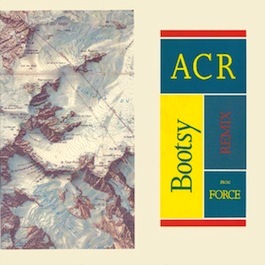 NB: Robert Racic's previous production and remix work has included tracks by Severed Heads, Boxcar, Single Gun Theory and the hard-to-find remix of NEW ORDER's Paradise (the flip to FAC183R). He sadly passed away in 1996. FACT 42 A CERTAIN RATIO The Double 12"